Are you looking for a vehicle that has lots of room, extensive advanced features, and plenty of style? If so, the 2018 Acura RDX interior is set to impress. This midsize luxury SUV is less likely to overstretch your budget than European models, but the upscale, high-tech interior rivals the competition. If you’d like to find out why the RDX is a standout crossover on the roads of Stratford, explore the inventory at Acura of Milford today. The outside temperature and position of the sun impact the temperature inside the cabin, and this feature monitors those factors and adjusts the climate controls to compensate. A unique dashboard design features soft-touch materials on the top half and brushed aluminum materials on the bottom half. This striking design feature is just one of many high-style elements throughout the cabin. Leather upholstery of the highest quality covers the front seats, which are designed to cradle and cushion the body over long drives. Heating and ventilation also ensure maximum comfort at all times. An available 10-speaker ELS premium audio system makes everything you love sound better. The infotainment system also has features that help you access a much broader library of audio on demand. The size and exterior of this SUV signal that it’s up for any challenge. And thanks to the ample dimensions of the cabin, more of your travel around West Haven is made easy. There is 103.1 cubic feet of passenger volume, meaning that even with every seat occupied there is plenty of room to get comfortable over long miles. The cargo area holds a generous 26.1 cubic feet on its own, but when you need true hauling capabilities the second-row folds down to create 76.9 cubic feet of total room. 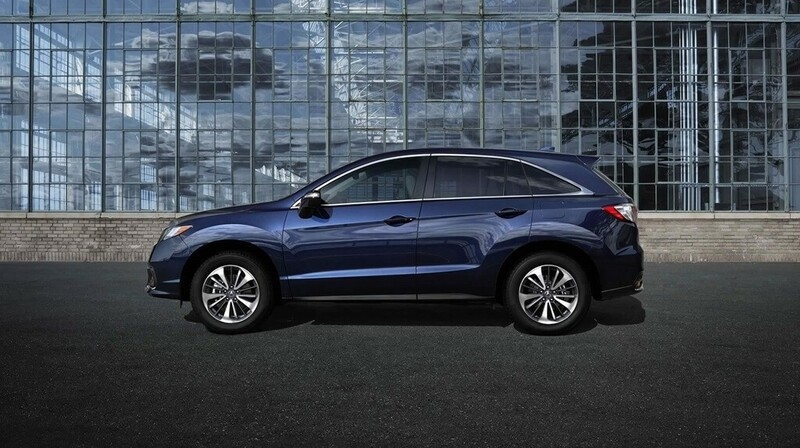 If the RDX appeals to you, consider both leasing and financing before you buy. And once you’re out on the road, follow some basic tips to keep your RDX running stronger for longer. Rely on Acura of Milford for all your automotive needs, and contact us as anytime for info.